Following the Success of the 1st ADVOC Maritime Conference held in London last year, JTJB organized the 2nd ADVOC Maritime Conference in Singapore on 16 October 2014. 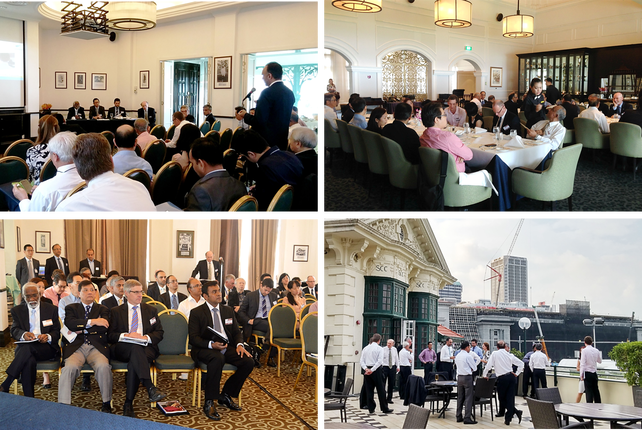 The Conference was held at the Singapore Cricket Club and featured 12 speakers from multiple jurisdictions who shared perspectives on a wide spectrum of legal and commercial topics relevant to the Maritime Industry. The Conference commenced with an opening address by JTJB’s Managing Partner, K. Murali Pany who also delivered a presentation on the Practical and Legal Implications of Piracy. The event was graced by Executive Director of SCMA, Mr. Lee Wai Pong, who was the keynote speaker of the conference and chairman of the first panel discussion. Also in attendance was JTJB’s Senior Partners Danny Chua; who chaired the second panel discussion on Commercial topics and Dato’ Jude P Benny; who chaired the third panel discussion on Legal topics and delivered the closing speech. The Conference was well attended and received very positively by both delegates and speakers, who spoke highly of the event. We take this opportunity to thank everyone involved for contributing to the success of the 2nd ADVOC Maritime Conference. JTJB’s Shipping and Admiralty Practice Group is a key area of practice at our firm. We are regarded as one of the top maritime law firms in Singapore and one of the most experienced shipping practices in Asia. JTJB’s Senior Partner Mabel Tan along with Partners Florence Goh, Tan Seow Peer and Associate Branda Lai delivered a number of seminars on the importance of writing a will and granting a Lasting Power of Attorney (LPA). Initially, only one seminar was planned but following an article published in the Sunday Times (28 September 2014), the event received much interest from clients and the general public alike and additional seminars were organized. The seminars aimed to raise awareness for the need to make informative decisions on writing a will and granting an LPA at an early stage. JTJB’s Probate & Administration Practice provides services regarding wills and LPA. For more information, please contact Mabel Tan at mabeltan@jtjb.com. *The dates of events stated above are to be confirmed and subject to change.